You may have noticed that your sitemaster has become a tad obsessed with the ways in which active surveillance is being carried out at different centers and the potential for standardization of this process in the interests of definable groups of patients. The Michigan Urologic Surgery Improvement Collaborative (MUSIC) maintains a prospective registry of prostate cancer patients from 44 academic and community urology practices across the state. The MUSIC group has made considerable efforts to optimize uniform standards of care across all 44 practices that participate in the group’s informational, educational, and research efforts — dating back many years. The new study by Ginsburg et al., just published in European Urology, was designed to work out the rates at which patients were being lost to follow-up (LTFU) after initially being placed on active surveillance within the 44 urologic practices making up the MUSIC group. It should be noted that a patient was defined as having been lost to follow-up if no relevant surveillance testing was recorded in the MUSIC registry database over an 18-month period after the patient was initially started on AS. 2,211 patients were eligible for evaluation in this study. Their average (median) age was 66.2 years at time of starting on AS. Patients were monitored on AS for an average (median) of 32.1 months (range: 24.3 to 34.1 months) during the 6-year study period. 1,994 patients were not lost to follow-up and were followed for an average (median) of 22.2 months. 217 patients were lost to follow-up. There was a 90 percent probability that patients initially placed on AS would not be lost to follow-up over the first 2 years after they started on AS. … reveal opportunities for urology practices to identify systems to reduce rates of LTFU and improve the long-term safety of AS. 16 (38 percent) were receiving no care for their prostate cancer. 3 (7 percent) were receiving care at urology practices not affiliated with the MUSIC group. 3 (7 percent) were a result of errors in the registry data. 20 (48 percent) could not be re-contacted. Thus, from a patient perspective, it is arguable that significantly less than 10 percent of all the patients initially started on AS were actually “lost” to follow-up because they had taken a very deliberate decision to seek care elsewhere or to forego any form of care during the time frame of the study. Whether these were “good” decisions or not is obviously not something we can or should comment on. 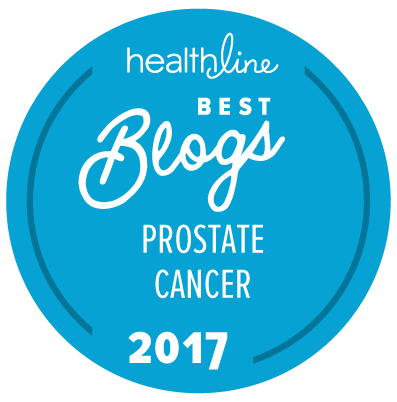 Individual patients with prostate cancer have the right to do as they see fit regarding their diagnosis. Thanks as always for finding and interpreting these interesting studies. It’s good to see the MUSIC group giving us more insight to what is happening for active surveillance patients in Michigan. While this is clearly a real-world example for a large geographic area as a whole, it seems likely that Michigan is ahead of adoption of active surveillance compared to many other states in the US. This study may therefore better reflect what can be achieved in AS versus what is being achieved for the US as a whole. “Sticking with It” as Clinical Confidence Grows in Active Surveillance: One of the prior MUSIC reports documented, a substantial increase in the acceptance of active surveillance as the years tick by (and the mound of consistently favorable research grows ever larger). With that in mind, I checked this paper, which is an easy short read of just 4 pages, to see if they looked at the impact of the year of beginning AS on the likelihood of being lost to follow-up. The idea here is that every year brings more encouraging data on the efficacy and safety of active surveillance, and therefore patients starting later might have more confidence in continuing. Unfortunately, though the authors looked at the period from 2011 to 2017, the data do not specifically throw light on this question, though the overall high-rate of continued follow-up suggests that year-by-year differences probably did not make much of a difference. A High Proportion of Lost to Follow-up in Just One Practice: While 44 practices are in the MUSIC program, Figure 2 shows the number of patients Lost to Follow-up for just 30 practices. (The reason 14 are missing is not clear.) It is striking that 29 of the 30 have percentages for freedom from Lost to Follow-up, in other words for sticking with the program, of better than 90%, whereas the remaining practice scored just 52%! That’s a textbook example of an “outlier”. High Proportion of Patients Lost to Follow-up Were Lost in the First Month: As the above article notes, of the 217 patients eventually Lost to Follow-Up, 79 (36%; better than one third) were lost “soon after initiation of AS”. The graph showing the number of patients lost by month reveals that the 79 were actually lost in the first month. (See supplementary data: Supplementary Figure 1.) I’m thinking these patients either just quickly rejected AS or bought into the idea of low-risk so completely that they figured they would do just fine by doing nothing at all.